The sardine is a paradoxical fish. Seemingly insignificant, it has made fortunes for some, and, when stocks have collapsed, caused hardship for many, its status shifting from utilitarian food to gourmand’s delight. 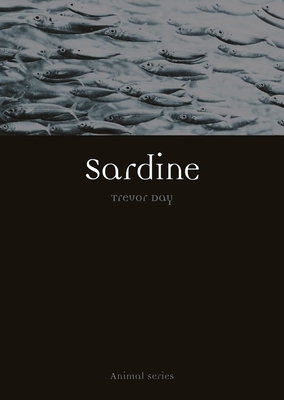 And in this book, Trevor Day—diver, fish-watcher, and marine conservationist—travels across four continents to meet the sardine in both its natural and cultural environment. Tracing the fish’s journey from minuscule egg to dinner plate, Day interweaves the story of the sardine with the rise and fall of entire fisheries. A wide-ranging look at the cluster of fish species called sardines, Day’s book explores their relationship both with other marine creatures and with us. Elite predators feast on sardines, yet these silvery slivers are fast-breeding and opportunistic enough to likely survive their hunters for many millennia to come. Whether swimming free as a shoaling fish at the mercy of predators, packed in tins (and as a metaphor for overcrowding), or grilled on the streets of Lisbon as part of the Feast of St. Anthony, sardines have come to represent conformity, vulnerability, and tradition. And as Day’s biography of this familiar but under-appreciated fish reveals, the sardine is a barometer for the health of our oceans, a fish with lessons for us all about our stewardship of the seas.